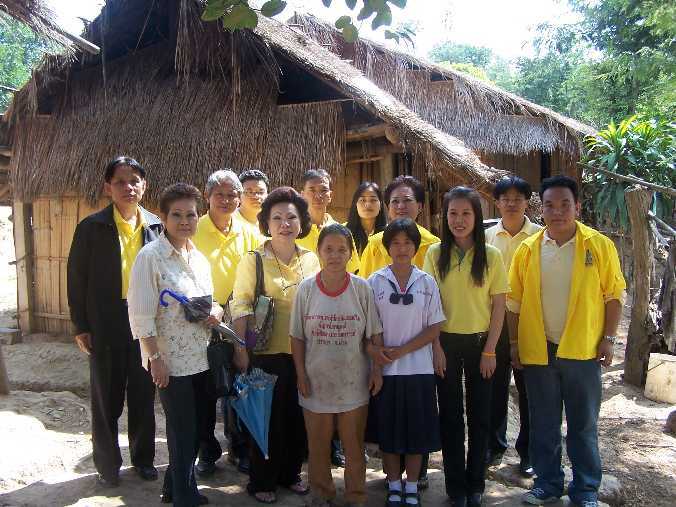 During Nov. 20-21, 2006, Directors and staff of TISCO Foundation took another trip to Nakornratchasima to visit students and to follow-up on the progress of scholarship fund. The student and his father stand in front of his house. 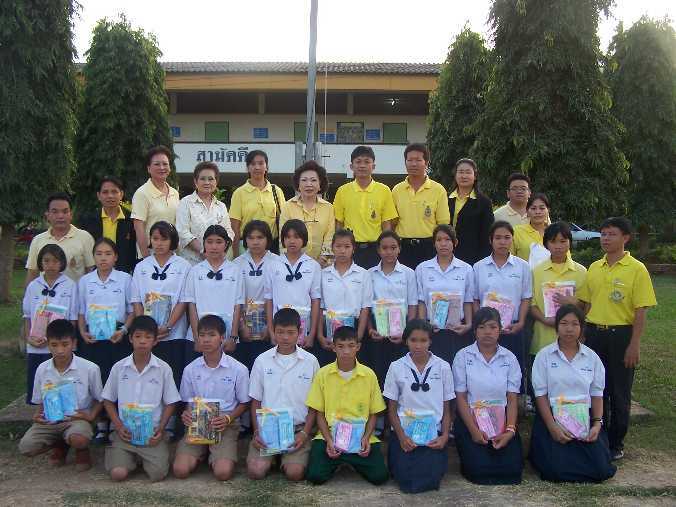 Khun Vannee Uboldejpracharak and Khun Srisooda Boon-long, Directors and staff of TISCO Foundation took a trip to Nan and Chiangrai visited our scholarship students at 18 schools and follow-up on progress of education fund granted to them this year. “Daily Knowledge Posters”, stationeries, and cookies were given to them. 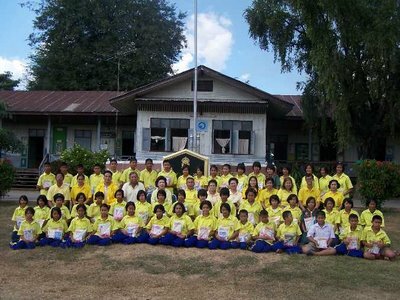 We visited teachers and students at Nan Nakorn School, Nan and have taken picture with them. 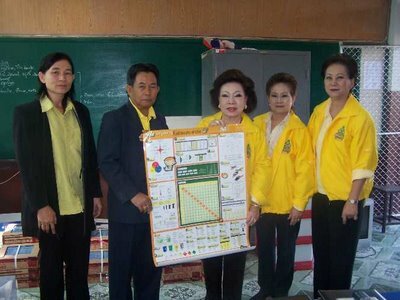 The "Daily Knowledge Poster" presented to the Director of Ban Dontun School, Nan, by Khun Vannee Uboldejpracharak, Director of Tisco Foundation. 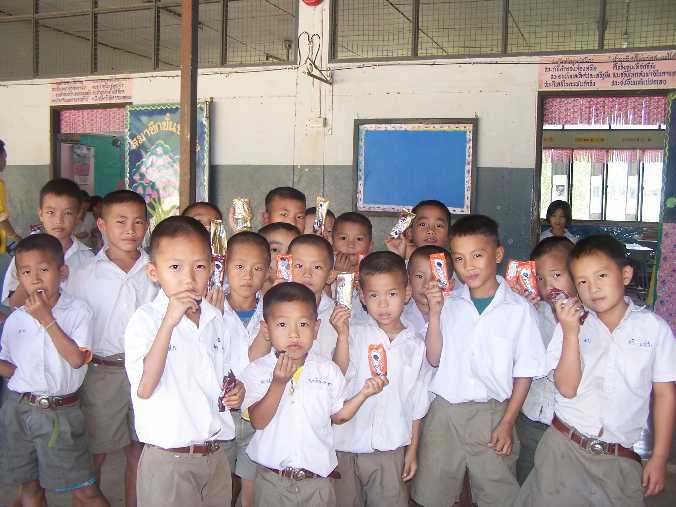 Students with happy face after receiving cookies from us. This picture taken infront of one scholarship student’ s house in Nan. Khun Vannee Uboldejpracharak is chatting with a student at her house. This is a student’ s house in Chiangrai. 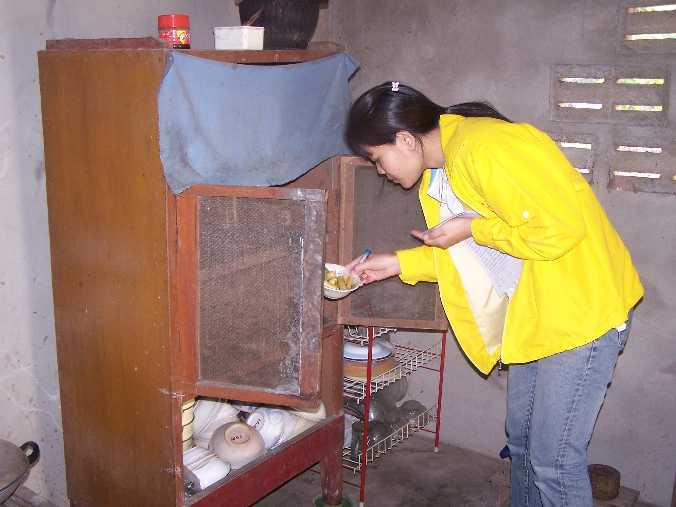 Our staff, Khun Somkid Promsap inspects a food bowl in the kitchen at a student’ s house. We have some discussion with the director of Chiangrai Vocational College. We stopped by to see Khun Chalermchai Kosipipat, an Artist, at Wat Rongkhun, an the way to Chiangrai. Khun Pattira Wattanawarangkul, Manager of Tisco Foundation, has a meeting with students in the classroom. Tisco Foundation Bowling Tournament for the year 2006 held at Major Cineplex-Ratchayothin on November 4, 2006 to raise fund for needy students. 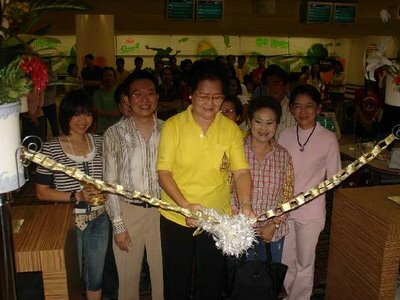 Khun Uvares Klewpatinond, Director, seen cutting ribbons for the opening ceremony.